Although some people just look for the cheapest hotel fare and look at location logistics later, this isn't the smartest strategy, unless you truly don't mind staying hours outside of the city. Start by narrowing down the exact destination and location where you want to stay. Priceline offers up unnamed properties within a certain geographic zone. Generally, the larger the city, the more zones will be offered. While it's acceptable to bid on multiple zones, at some point in the process you'll have to commit to a fairly narrow area. Remember, once you place a bid and it's accepted, you have a binding contract with Priceline for that room and your credit card will be charged with very little hope of a refund should you decide later you'd rather be downtown than in the suburbs. Only use Priceline when you're ready to make a non-refundable commitment. After you've decided which destination you're visiting, Priceline will ask you to enter the city and your travel dates. Be sure to double check your dates before booking the non-refundable deal. When bidding for a hotel, you'll be at an advantage if you have flexible travel dates. If you don't get the bid you wanted, you can change the dates for your trip and try again. Otherwise, you'll have to look at a different hotel zone or star-level (quality). The initial pages on Priceline will show you hotels in your desired city. These are priced at rates that may or may not be lower than what you can find booking directly with the hotels or some other travel company. Click the "Name Your Own Price" option, and enter a bid amount for your desired hotel. Then, name your desired price and if accepted, the bid is immediately charged to your credit card. Clicking your desired location zone will reveal the star levels (quality of hotels) available within Priceline's inventory for that area. Star-levels that aren't available in your zone will be grayed out, while the available zones will have hyperlinks that lead to descriptions of what to expect at that level of quality. Better bidding depends upon your accurate survey of star-level options in other areas. This could take several minutes if you're bidding in a big city, or just a few seconds in smaller places. But it must be done before you enter your first bid. Make note of zones that do not offer the same star-level(s) on which you intend to bid. Don't worry about the location of these zones since you won't be staying in any of them. For example, let's say one zone included 3.5-star and 3-star bidding options. A nearby zone only had options for 1-star and 2-star properties — nothing higher than that. This is important because you can safely click that zone when you re-bid, so long as you do not add one-star or two-star zones in your zone bidding. Remember: Your bidding session on a given day continues only as long as you can make one more change in your offer, but that change need not be a higher price. You can change dates, zones, and star-levels. If all offers are rejected, you'll have to wait 24 hours to start a new session. Prepare to open several new browser windows alongside your Priceline window. Your first window will help you find out about possible hotels in your zone. Then, you should attempt to find out what other people have bid in those zones and what hotels they received when successful. 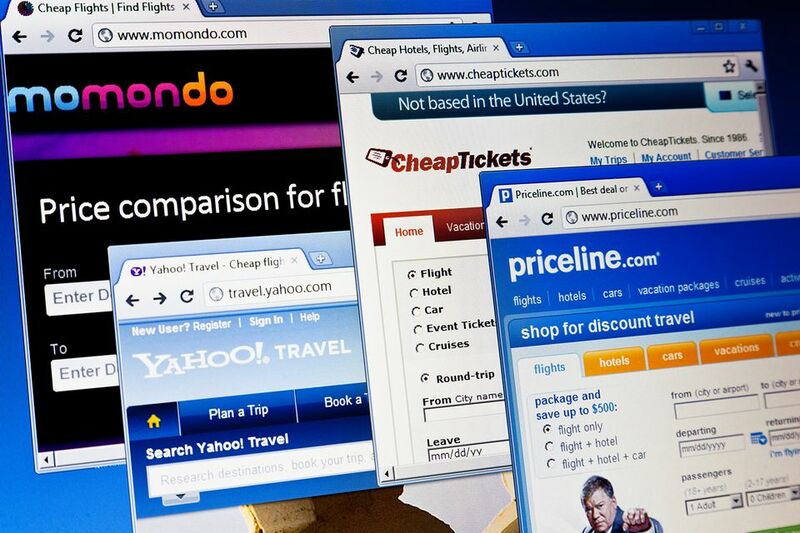 There are frequent patterns to explore, and Priceline users have posted their experiences on a number of bulletin-board style websites, including BetterBidding.com and BiddingForTravel.com. Both of these sites keep a list of hotels that have shown up in most zones and star-levels. Look for your desired zone and make a few notes. On another page, you'll be able to see what bidders have paid for those hotels. The prices paid by other bidders may or may not relate to what you'll have to pay today, and the hotels that were on Priceline recently might not be there now. If a few hotels seem to turn up all the time in a given star-level and zone, it's likely they've used Priceline on a regular basis. Check the dates of the postings. Are they fairly recent? If so, find the hotel's website and check rates for the dates of your trip. You can't know you're getting a deal until you know the starting price, right? Next, check to see if a few of the most commonly purchased hotels are fighting bad reputations. Hotel review sites such as TripAdvisor where people post comments following their stays. Take these comments with a healthy dose of skepticism. A few bad reviews don't mean much, especially if more than one year old. Thirty recent bad reviews that each repeatedly cites the same problems are worthy of your attention. Armed with all of this bidding knowledge, you are now ready to enter your Priceline hotel bid. There are many strategies for using the data you've collected on previous bids and regular prices. If you're in a hurry and don't have days to re-bid, you might want to enter a price substantially higher than the other successful bids, but less than the standard rate. If you have some time and don't mind repeating the bidding process over several days, take at least one shot at a bid well below the previous successful prices. Priceline will tell you the "average" cost of a room in that zone and star-rating. It's best to ignore that amount as it is typically inflated. Before you click "buy my hotel room now," note that a bid of $48 USD is going to be more like $61 when your credit card is charged. Priceline adds taxes and service fees to the base bid, but they will show you this before you finalize the non-refundable purchase. There are two kinds of Priceline rejections. One simply says "no" to the money you offered and urges you to re-bid. The other is a sort of counteroffer that urges you to increase the current bid to a suggested amount. It's almost always best to reject the counteroffer and re-bid. Here's where those careful notes about what's available in each zone will pay off for you. If you re-bid, add new zones that don't have star-levels above what you're seeking. Expect to receive an email from Priceline each time you fail. It will urge you to try again and provide a hyperlink for that purpose. As the time for your visit approaches, give the hotel a brief phone call. If it's a chain (and most Priceline hotels are), don't call the corporate toll-free number. Call the front desk of the hotel and be certain they know you've pre-paid your reservation, and you'll indeed be arriving on the reserved date.